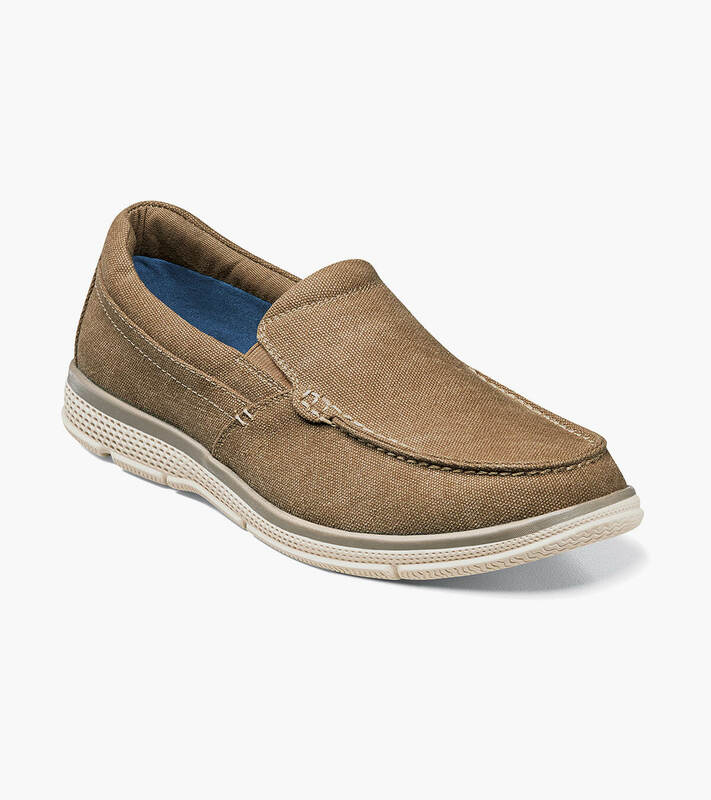 The Zane is a moc toe slip-on. The upper is man-made or canvas. The sole is flexible rubber sponge.